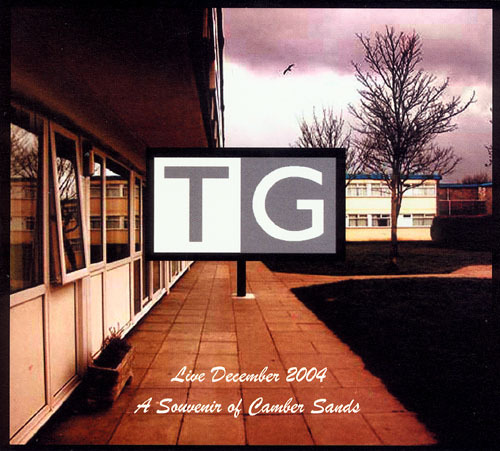 Throbbing Gristle, "A Souvenir of Camber Sands"
Music recorded live on December 3, 2004 at Camber Sands during the festival All Tomorrow's Parties - The Nightmare Before Christmas. The performance and CD are both dedicated to Geff (John Balance) who recently passed away. This is a CD-R and it was on sale minutes after TG finished performing. Leftovers were available from Mute Records. The CD 1/CD 2 split differs on some of the CD-Rs.